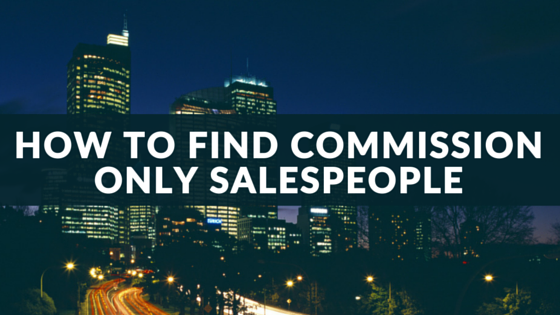 It used to be hard to find commission only salespeople... Not anymore! UPDATE: 16th March 2017 - Since publishing this article back in September 2015, CommissionCrowd have gone on to win Europe's most prestegious sales award for 'Overall Innovation For Sales' at the Sales Innovation Expo. We've been featured in Forbes, The Huffington Post and The Financial Times. If you're an independent sales representative looking for the best sales opportunities to add to your portfolio, or are a company looking to connect with highly experienced self-employed sales reps who can take your sales to the next level, join us now. We know first hand how hard it can be to partner with top sales professionals who work on a freelance basis and experienced this very problem ourselves during our time running a company that were -at one point - seeking to connect with this type of independent sales professional. The issue stems from the industry being highly fragmented, misrepresented, misunderstood and generally only possible in the past if you knew someone or a commission-only sales person approached your business. 1. Either contact companies they were interested in working with directly. 2. Attempt to fish through a sea of poor commission only sales jobs being posted by desperate/uneducated companies to generic job websites and classified ad sites. The independent sales industry has also been plagued with misrepresentation and stereotyped by the media based on the stories of a handful of unscrupulous companies who took advantage of inexperienced or unemployed sales people who were in-between jobs and desperate for work. In reality there are millions of professional self-employed commission only salespeople representing countless companies worldwide. CommissionCrowd was born out of a direct the founders had when building a commission based sales team for their business. You can read our story here however, having access to a database of experienced independent salespeople is not enough to guarantee your company will be successful in attracting interest. It's highly important that you can demonstrate an understanding of how self employed sales people operate and what they expect from a company before considering whether or not to work with you. Here at CommissionCrowd, quality is highly important to us and we vet companies who wish to join us so that sales agents are only exposed to genuinely good commission-only sales jobs. That's just one aspect that sets us apart from all of the other job websites out there. We highly advise that any company considering joining us please take a few minuted to read our blog especially our tips for working with self-employed sales agents section. Finding the best sales people just got easier too as our database of freelance sales people continues to grow every day. While we are still in a growth stage, what's very exciting is the quality of sales reps that we're attracting. 75% of commission only sales agents on CommissionCrowd's database have between 10-30+ years experience working on a self-employed basis. That's 10-30+ years experience as a self-employed sales professional AFTER leaving a long career as an employed sales agent and starting work for themselves. Think about that for a second. Since the main goal for an independent sales rep is to find companies with complimentary products and services to sell into their existing contacts, over 60% of people joining CommissionCrowd can give your company instant access to customers in the Markets you are looking to penetrate. 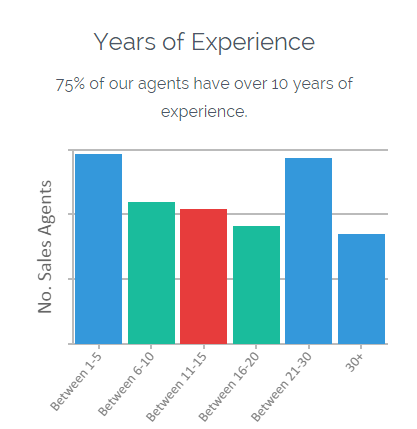 See our current statistics for registered sales agents on CommissionCrowd. CommissionCrowd is quickly moving the commission-only sales industry out of the dark ages. We're helping to educate companies and teach them what it takes to successfully find experienced reps, while providing all of the tools needed to efficiently manage working relationships with sales agents. In the same respect, commission based sales professionals are flocking to CommissionCrowd because we vet our members and provide an online platform that guarantees top quality sales opportunities while giving agents free access to a number of tools to make working and managing relationships with company Principals effortless.